If you own a restaurant in Kennewick, Richland, Pasco or surrounding areas, then having a trusted and experienced commercial refrigeration and HVAC Contractor is vital to keep your equipment running smoothly and efficiently. 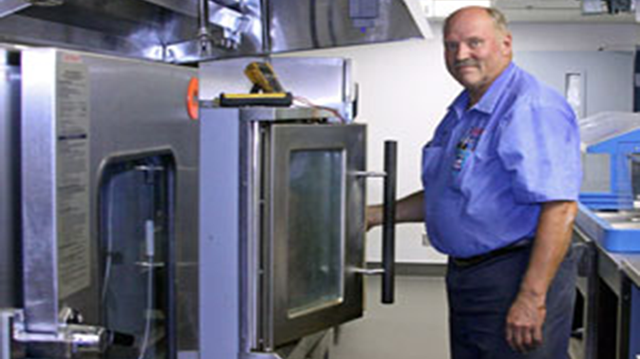 Having a regular maintenance plan for all of your Restaurant equipment and appliances is imperative if you want to run your business in the food industry. You need to keep your refrigerators, freezers, ice makers, fryers, deli equipment, espresso machines, all working perfectly in order to be energy efficient as well as cost efficient. Here at Coffey Refrigeration, we have been providing the best commercial refrigeration and HVAC service in Kennewick and surrounding areas, for more than 55 years. We have the privilege of counting with the most qualified technicians in the area, who are constantly trained and updated with the latest products and tools, to provide the best service possible. We also offer our own Care-Free Ice Machine Lease so you stop worrying about any maintenance, repairs or replacement on your Ice Makers. Click here for more information or give us a call at (509) 586-1519. We’re open 24/7 and always have technicians on standby near you. Letting us customize a course of action and payment plan for you today. Upgrading your walk-in cooler or freezer when its time.